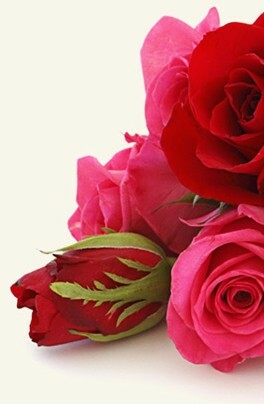 Login to my flowers4hongkong.com account to track the status of your order or visit our customer service page. 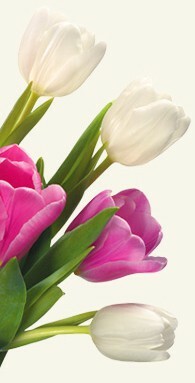 Login to my flowers4hongkong.com account to modify your order or visit our customer service page. All changes must be 24 hours before delivery. After that time, we cannot guarantee there will be enough time for the changes you request. At Flowers for Hong Kong we only use the very best in security for our online payments. We use PayPal for our online payments and as one of the largest payment processors in the world their security is top notch. flowers4hongkong.com keeps customer information completely confidential. Our company does not share customers' personal information for third-party use or sell it to advertising agencies. In the event of a legal requirement, fraud, or law-enforcement request, your personal information may be shared upon request from the relevant authorities. The delivery costs are: Fei Ngo Shan 23.00 USD, Hong Kong Airport 35.00 USD, Hong Kong Central and Western District 8.00 USD, Hong Kong Cheung Chau Island 35.00 USD, Hong Kong Discovery Bay 35.00 USD, Hong Kong Disneyland 35.00 USD, Hong Kong Eastern District 8.00 USD, Hong Kong Kowloon District 8.00 USD, Hong Kong Lamma Island 35.00 USD, Hong Kong Lantau and Outlying Islands 35.00 USD, Hong Kong North District 20.00 USD, Hong Kong South Lantau 35.00 USD, Hong Kong Tung Chung 35.00 USD, New Territories Dist Clear Water Bay 20.00 USD, New Territories Dist Cuhk 8.00 USD, New Territories Dist Fairview Park 20.00 USD, New Territories Dist Fanling 20.00 USD, New Territories Dist Gold Coast 20.00 USD, New Territories Dist Kam Tin Pat Heung 20.00 USD, New Territories Dist Ma On Shan 8.00 USD, New Territories Dist Park Island 20.00 USD, New Territories Dist Sai Kung 20.00 USD, New Territories Dist Science Park 8.00 USD, New Territories Dist Sham Tseng 8.00 USD, New Territories Dist Shatin 8.00 USD, New Territories Dist Sheung Shui 20.00 USD, New Territories Dist Tai Po 8.00 USD, New Territories Dist Tai Wai 8.00 USD, New Territories Dist Tin Shui Wai 20.00 USD, New Territories Dist Tseung Kwan O 8.00 USD, New Territories Dist Tsing Lung Tau 8.00 USD, New Territories Dist Tsing Yi 8.00 USD, New Territories Dist Tsuen Wan 8.00 USD, New Territories Dist Tuen Mun 20.00 USD, New Territories Dist Yuen Long 20.00 USD, Sai Kung 20.00 USD, West and South Distr Aberdeen 8.00 USD, West and South Distr Ap Lei Chau 8.00 USD, West and South Distr Baguio Villa 8.00 USD, West and South Distr Chung Hom Kok 23.00 USD, West and South Distr Cyberport 8.00 USD, West and South Distr Deep Water Bay 23.00 USD, West and South Distr HK Parkview 23.00 USD, West and South Distr Pok Fu Lam 8.00 USD, West and South Distr Red Hill Peninsula 23.00 USD, West and South Distr Repulse Bay 23.00 USD, West and South Distr Sai Wan 8.00 USD, West and South Distr Shek O 23.00 USD, West and South Distr Shouson Hill 23.00 USD, West and South Distr Stanley 23.00 USD, West and South Distr Tai Tam 23.00 USD, West and South Distr Wah fu 8.00 USD and West and South Distr Wong chuk Hang 8.00 USD. How do I contact flowers4hongkong.com customer service if there is a problem? Use my flowers4hongkong.com account to access your account and contact customer service. Alternatively, call our customer service department.